Daniel (Dan) Clark was raised in Anaheim, California. He attended Loara High School where he was active in athletics including wrestling, football, and baseball. After graduating, he returned to coach the freshman football team and was known as “Sergeant” because of his toughness. He continued his education at Cypress College and the University of Long Beach, where he graduated with his degree in Human Resource Management. Throughout his youth Dan was very involved in his church, regularly playing the guitar in the youth group and in Sunday school. He was introduced to his future wife, April, by her mother. They fell in love and married in 1985. 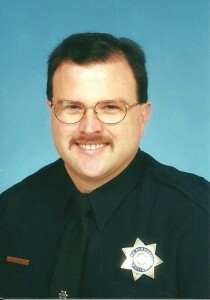 Officer Daniel Clark joined the San Bernardino Police Department on October 7, 1991, after spending five years with the Garden Grove Police Department in Orange County. During his years on the San Bernardino force, he gained a noted reputation as a drug-recognition expert and taught drug-recognition techniques to officers in a number of agencies. Officer Clark was also a field training officer and a member of the department’s rifle squad. Over the course of his career he received several commendations for his police work as well as letters of appreciation from the public for being friendly and conscientious in the field. On January 18, 2011, Officer Clark responded to a call for help from fellow officers who had met resistance in their attempts to arrest several individuals. Officer Clark arrived on scene and while running to assist officers involved in a fight he suffered an ankle injury. The injury failed to heal, and Clark underwent surgery. As the result of complications from surgery, Officer Clark passed away on November 3, 2011. Officer Clark is survived by his wife, April; daughter, Kayla; mother, Phyllis; two brothers, Jonathon and David, and their families. The family held a private funeral on November 12, 2011. Officer Clark is remembered not only for his dedication to the law enforcement profession, but also for his quick wit, prankster actions, his Irish diplomacy, and his thoughtful, calming, and humble demeanor.